The 2018 Winter Olympics is set to kick off on February 9th and will feature 102 events over 15 sports. This year marks the 23rd edition of the games and is taking place in Pyeongchang County, South Korea. The headlines have so far been dominated by the controversial inclusion of North Korean athletes and doping scandals, however a small group of Latin American athletes will be looking to upset the natural order as they cross the Pacific in search of gold. A seemingly tall order considering no athlete from a Latin American country has ever managed to win an Olympic medal in winter. BristoLatino sports editor, Jamie Vaughan Johnson, looks at which Latin American countries will be represented and introduces the athletes looking to bring home some winter glory. Brazilian athletes will make up the majority of the Latin American contingent at this year’s Winter Olympics. Brazil will be fielding nine athletes in five sports, four less than in the 2014 edition. 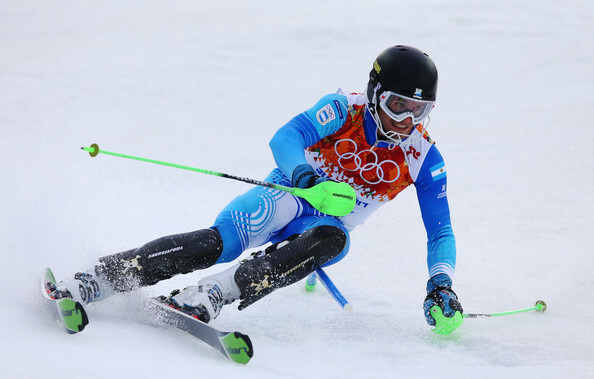 One male athlete, Michel Macedo will be competing in both the Slalom and Giant Slalom competitions. 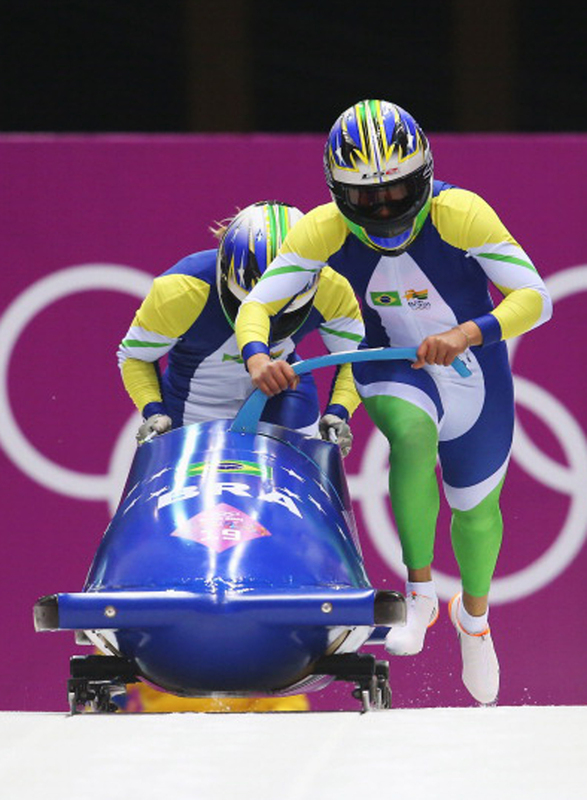 Following their impressive results at the 2017-18 Bobsled World Cup, Brazil has qualified two sleds with veteran Olympian Edson Bindilatti captaining both teams. Both one male and female athlete have qualified for the Cross-Country Skiing competition which will be held at the Alpensia Cross-Country Centre in Pyeongchang. Isadora Williams earned Brazil a berth in the Women’s Figure Skating with her performance in the 2017 CS Nebelhorn Trophy. Finally, snowboarder Isabel Clark Ribeiro completes the team and she will be vying for a medal in the Women’s Snowboard Cross. Chile, the Latin American country with the longest history of representation at the Winter Olympics, will be sending a delegation of seven athletes, five of which were present at the 2014 Winter Olympics in Sochi. Chile will be well represented in the Alpine skiing disciplines after three athletes qualified on the back of performances in 2017. Henrik von Appen and Kai Horwitz will be competing in the Men’s Combined, Downhill, Giant Slalom and Super-G whilst Noelle Barahona will be trying to win the female equivalents. Henrik von Appen is set to represent Chile in this year’s Winter Olympics. Two Chilean athletes, one male and one female, qualified for the Cross-country Skiing. In the Freestyle Skiing category Stephanie Joffroy will be racing in the Women’s Ski Cross whilst Dominique Ohaco will be hitting the jumps and rails in the Slopestyle Competition. Argentina has a strong history of representation at the Winter Olympics with their first participation dating back to 1928. Fielding six competitors in four sports, the Argentinian athletes will be hoping 2018 is the year they break their Winter Olympic duck. Brother-sister Slalom duo Nicol and Sebastiano Gastaldi will be hoping to add Olympic glory to the South American championships they won back in 2017. Sebastian has already been honoured with the role of flag-bearer for the opening ceremony. Sebastiano Gastaldi, Argentina’a opening ceremony flag-bearer. Aside from the skiing and snowboarding disciplines Argentina has qualified one sled for the Women’s Singles Luge. In an event where the athletes can reach speeds of up to 87mph, Veronica Maria Ravenna will be looking to defy her young age (19) and hurtle to victory. After making its debut appearance in 2010, Colombia is scheduled to return to the Winter Olympics in 2018 with a team consisting of three males and one female, competing in three different sports. 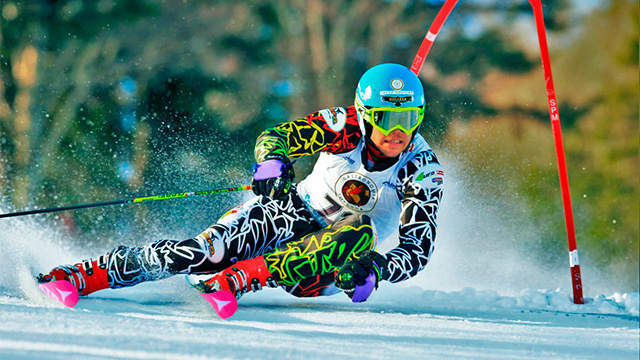 Colombia qualified one male athlete, Michael Poettoz for the Men’s Slalom and Giant Slalom events. Poettoz was born in Cali and was adopted by a French family at the age of 21 months. He grew up and learned how to ski in Les Carroz d’Araches, France. Poettoz has previously represented Argentina at the Winter Youth Olympics in 2016 in Lillehammer, Norway. In 2017, he became the first ever person to be born in Colombia to qualify for the Winter Olympics. Pedro Causil, first Latin American speed skayer to compete. In Pyeongchang, Pedro Causil will become the first speed skater from Latin America to compete at the Winter Olympics, also marking Colombia’s debut in the sport. 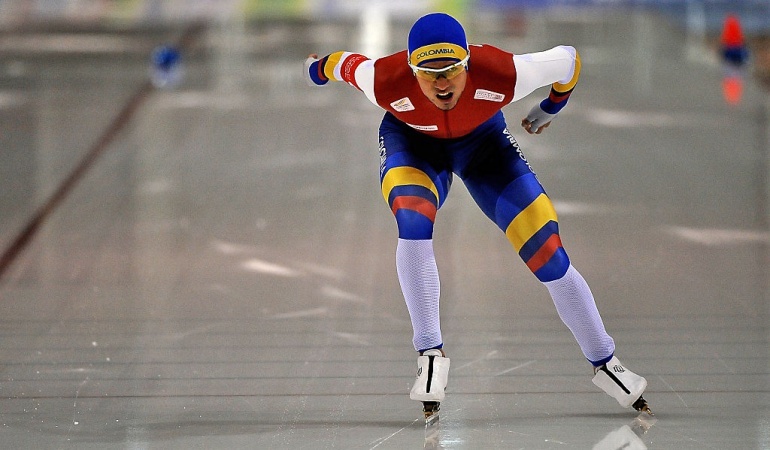 Colombia is renowned for being a top competitor in inline speed skating competitions and its top athletes have been able to transfer their skills from the tarmac onto the ice, as they hope to replicate their previous world championship form. Competing in its ninth Winter Olympics, Mexico will be sending a delegation of four athletes in three sports to compete in South Korea. 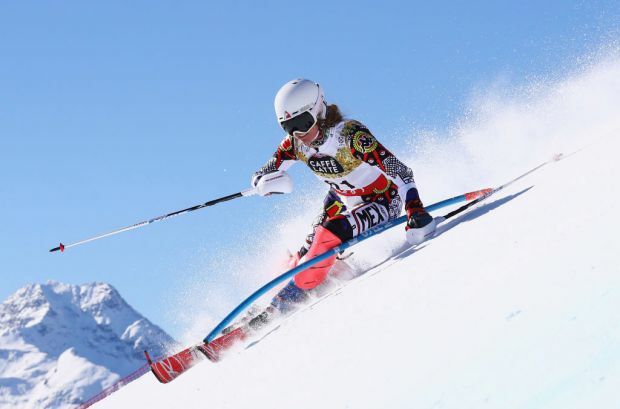 Mexico qualified one male and one female athlete for Alpine Skiing events with Rodolfo Dickson and Sarah Schleper set to compete in the Giant Slalom and Slalom events. Schleper will also have the honour of bearing the country’s flag during the opening ceremony on February 9th. Mexico will also be represented in the Men’s Cross-Country Skiing and Men’s Slopestyle competitions by German Madrazo and Robert Franco respectively. Bolivia’s participation in the 2018 Winter Olympics marks a return following a 26-year hiatus after last competing in 1992 in Albertville, France. The official Bolivian team is comprised of two athletes competing in two sports. Austrian-born skier Simon Breitfuss Kammerlander will be representing Bolivia in the Men’s Giant Slalom and Men’s Slalom competitions. Kammerlander first visited Bolivia when he was 8 years old, due to his father’s work as a ski coach in neighboring Argentina. In 2015 Kammerlander was officially given Bolivian citizenship, allowing him to compete for the country. Simon Breitfuss Kammerlander who is set to represent Bolivia. Cross-Country skier Timo Juhani Grönlund completes the team. Like Kammerlander, Grönlund traces his roots back to Europe. Born in Finland, Grönlund will be hoping to reach the podium in Bolivia’s Winter Olympics debut in the discipline. 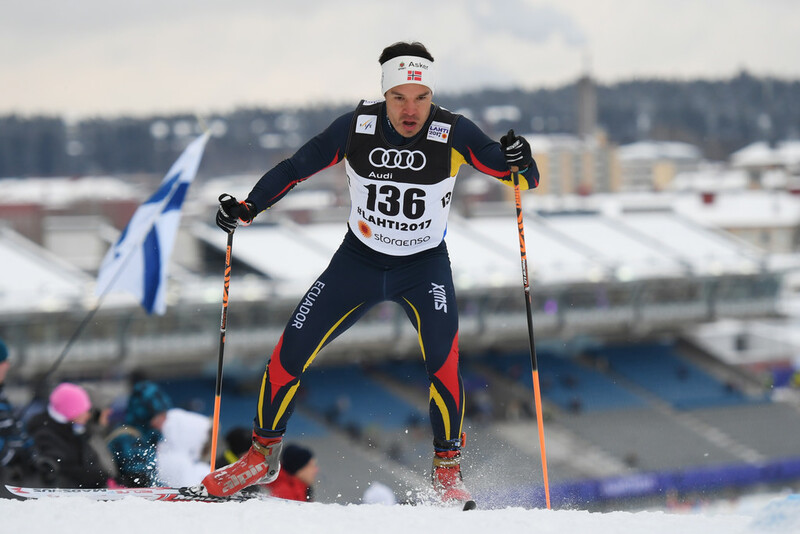 Ecuador will make its Winter Olympics debut in 2018 after Cross-country skier Klaus Jungbluth Rodriguez qualified in the Men’s 15 km Freestyle. Klaus lives and trains in Mountain Creek, Queensland, Australia and is currently completing his PhD in sport science at the University of the Sunshine Coast. Klaus Jungbluth Rodriguez who will be competing for Ecuador.